Jack Wardale (’17) picked Seton Hill University without ever stepping foot on campus. 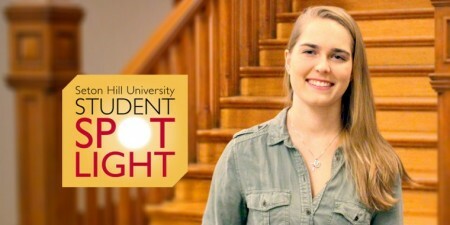 An international student from Norfolk, Great Britain, Jack found comfort in the small-campus community at Seton Hill, as well as his teammates on the men’s soccer team. Jack earned a bachelor of science in biology with a minor in psychology from Seton Hill in 2017. On campus, Jack was a student ambassador, held work-study jobs in the Student Engagement Office and the Multicultural and International Services Office and tutored three different subjects – all while balancing being a college athlete. Currently, Jack is pursuing an MBA in management while working as a graduate assistant in Seton Hill’s Office of Undergraduate Admissions. He enjoys having the opportunity to be a part of a student’s college decision process, as he was once in their shoes and found his place here on The Hill. Jack has just completed his sixth and final season with the Griffins soccer team and plans to continue his education in the hopes of obtaining his Ph.D. in psychology. 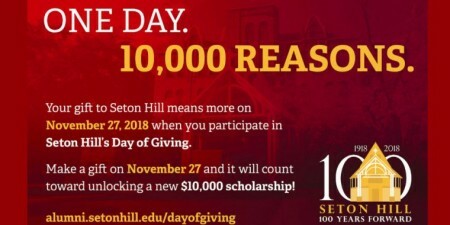 Find out more about Seton Hill University's MBA programs.